Measured restraint will be the tone of the Reserve Bank’s Monetary Policy Statement next week, with economists unanimously expecting the OCR to stay on hold. The Reserve Bank may have thrown out some surprises in its last MPS back in November, but don’t expect any to come this time round. Economists who responded to the regular TMM OCR preview survey all agreed that the Reserve Bank will leave the OCR on hold at its record low of 1.75% on Thursday. Further, they all thought there would be little to no change to either the OCR outlook or policy guidance language. ASB senior economist Mark Smith says with changes to the monetary policy framework pending and with Adrian Orr set to start as Governor in March changes are likely to be minimal. He expects the Reserve Bank to present a balanced assessment and continue to emphasise that interest rates are likely to remain low for a considerable period. “The low inflation starting point and higher than expected NZD could result in marginal downward tweaks in the published OCR profile. In ANZ senior economist Phil Borkin’s view economic developments have been mixed since the last MPS – but it doesn’t feel like a backdrop where the Reserve Bank will take a view that significantly departs from its previous thinking. “For us, all recent developments have done is reiterate that ‘numerous uncertainties remain’. When uncertainty is high, you fall back on what you know and can observe. “The lack of broad-based inflation pressure, despite an economy that has been performing reasonably well, will be right at the top of the list. Borkin says it is likely the Reserve Bank’s inflation projections will be downgraded and possible that near-term GDP forecasts will be lowered a touch as well. All of the economists surveyed believe the OCR has troughed in this cycle, although there was some disparity of views on when the Reserve Bank might hike the OCR again. Bancorp Treasury Services’ Peter Cavanaugh and NZIER senior economist Christina Leung pick November 2018 for when the OCR will start rising. Kiwibank senior economist Jeremy Crouchman also expects the Reserve Bank to begin gradually hiking the OCR from late 2018, but says recent developments do raise downside risks to their view. But Westpac chief economist Dominick Stephens says they have long argued that inflation will prove lower than the Reserve Bank expects and continue to forecast OCR hikes only from late 2019. Meanwhile, there could be change ahead with the signing of the Reserve Bank’s new Policy Targets Agreement and the impending arrival of Adrian Orr at the helm of the Reserve Bank. Crouchman says the new Governor will sign a new Policy Targets Agreement which is expected to incorporate a duel inflation and labour market mandate. But TD Securities head of Asia-Pacific research Annette Beacher says their forecasts are based on the data for now. 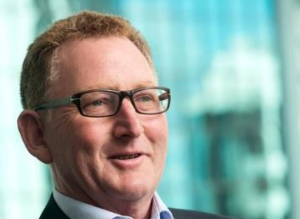 Economics New Zealand’s Donal Curtin says the main change will be more lively Reserve Bank press conferences with Adrian Orr answering the questions.